As marketers, our job is to spread the news about our products or services to as many relevant people as possible using various channels. What marketer wouldn’t want his/her new campaign to go viral and be shared by millions of people? At the end of the day, in an overcrowded competitive landscape it is all about awareness and being top of mind so when consumers want a product, yours is the first one they think about. But how do you design a campaign that will have a better chance of catching on? After all, 50% of the videos on YouTube have less than 500 views. If nobody passes the message along, then nobody will know about your product. Conventional wisdom suggests that some ideas are naturally contagious and some aren’t. And this makes intuitive sense if you think about an interesting product such as a cool new smartphone versus a boring old kitchen blender. But when you think about how the ‘Will it blend?’ video series from Blendtec went viral, it makes you question the convention. Jonah Berger offers a framework to make ideas go viral in his book Contagious. After researching hundreds of campaigns that went viral on YouTube and other social media channels, he identified 6 qualities that are common to all of these ideas, which suggests that virality is not born, it is made. Simply put, social currency refers to the fact that people share things that make them look good to others. If you discover an amazing new hole in the wall restaurant in the city, you want to share that information with your friends. Perhaps you will go online and write a review for it, or you will post on your Facebook to tell your connections to go try it. This gives the information sender social currency by being the person who shares “cool new things” with others. Remarkability: Sharing extraordinary and novel stories makes people seem extraordinary. Normally you might not even consider looking at a blender ad, let alone sharing it with your friends. But the unexpected content makes it so remarkable that you do. Game mechanics: Leveraging game mechanics has been an increasingly popular method, especially with gamification. When brands design successful loyalty programs that generate a lot of buzz, there is almost always a game aspect to it. You collect points and as you hit certain milestones, you receive rewards or reach a certain status that puts you in an exclusive tier. (Think airline loyalty programs, air miles etc). Being an insider: When people feel like they are part of a special, exclusive group, they like to talk about it. Because having insider knowledge is social currency. This is generally achieved through scarcity and exclusivity. Triggers are the stimuli in the surrounding environment that makes us think of a product or brand. They are environmental reminders for related concepts. When you are walking down the street and smell the coffee aroma wafting from the coffee shop it might remind you that you are running low on coffee at home. We are surrounded by stimuli that constantly trigger related thoughts and concepts. These triggers are important because when particular thoughts are top of mind, it leads to action. A great example of this is how the candy bar company Mars experienced a completely unexpected increase in sales in 1997. The company was taken by surprise because it had not changed its marketing tactics, nor had it adopted a new pricing strategy. 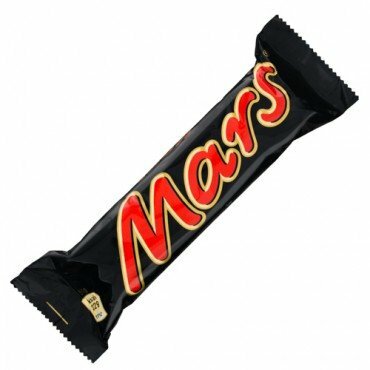 But 1997 was the year that NASA’s Pathfinder successfully reached Mars (the planet, not the candy bar) to collect samples. It was all over every news outlet, which acted as a trigger for many people. Frequency of the stimulus: It is important to choose a trigger that is frequent enough for people to establish a strong connection to your brand. Strength of the link: If the trigger is tied to too many different things, the link will be weak. If you are using the colour red as a trigger, you might not get too far, as too many other concepts are already tied to that trigger such as Coca Cola, Ferrari and Marlboro to name a few. Where it is happening: You want the triggers to happen near where the desired action takes place. Public service announcements on TV are good examples of this. In general they carry very powerful messages conveyed through remarkable stories but they fail to catch the target audience in the right touch point. We are emotional beings driven by our instincts and impulses. As much as we try to act rational in many situations, emotional connections are what make us tick. This is why focusing on feelings rather than the features of a product is much more powerful on a very fundamental level. When it comes to sparking an emotional response, the most critical thing is to focus on what kind of emotion is evoked. Recent research suggests that high arousal emotions such as anger, awe and excitement trigger action whereas low arousal emotions like contentment and sadness stifle action. Activating emotions is key to transmission. Anthony Cafaro, who helped create the ‘Parisian Love’ video understands it very well. To be a bit clearer, we are talking about making what is private public. The premise here is that if a behaviour is observable by others, it is more likely to be widespread. People imitate one another and tend to use others’ behaviour as a guide to make their own decisions. Ideas are much more likely to spread if others can see it out in public. An interesting social consequence of this effect is observable in different regions due to different climate patterns. In sunny places such as California and Miami, people are much more likely to be influenced by their neighbour’s car purchase than they are in colder climates where cars are kept in enclosed garage spaces. The reason? Because they can see it out in the driveway. A good example of this phenomenon is the Movember movement. Until a group of drunk Australian guys decided to grow moustaches to raise awareness for prostate cancer, men’s health was a private topic that nobody barely talked about. 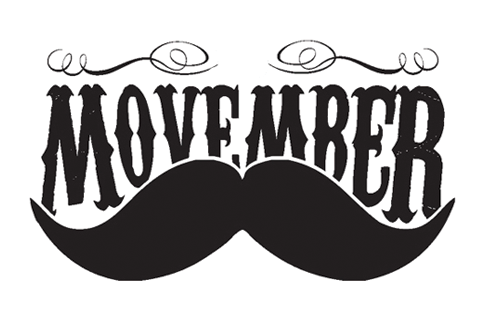 It is now a global campaign that has become more public than ever with hundreds of thousands of men growing their moustaches every November for this cause. Intentionally or not, the Australian group started a global initiative that went viral since it began, all thanks to making a private issue public. Passing along practical and useful information such as helping others save time and/or money is a powerful incentive for people to share the message. The advantage of this is that the incentive is embedded into the message, which makes the information naturally shareable. Social currency is about the information sender; practical value is about the information receiver. We talked about the new restaurant that you just found under Social Currency. When you spread the word for that restaurant, that give you social currency and makes you look good to others. Now imagine that the same restaurant has an amazing deal that offers a 2 for 1 dinner deal. Not only did you discover a hip new spot in town, but you also came upon an unmissable deal. When you share this information with others, you are earning yourself some Social Currency, and you are providing practical information to others that will help them save some money on a nice night out. Humans don’t simply think in terms of information but in terms of narratives. Making sure that the information is embedded into a story will help the potential virality of an idea. Before we had radio, television and the Internet, we only had our friends and family to tell us stories about what is going on around us. Stories are the vessels that carry important and valuable information. In a world where user generated content is becoming one of the most important sources of information for making purchasing decisions, telling stories are more important than ever. When we are trying to make a decision on which product to buy, we turn to user reviews and see what others are telling us about that product. These peer reviews are almost always embedded in narratives that give us background information. Just from that one paragraph of information there is already a story that is forming about the user; his/her preferences as a consumer and lifestyle. If you are a high school student reading this review, you will most likely decide to go with this product. Relevancy: Something might be remarkable but if it is not relevant to the product or brand you are advertising, nobody will remember your company’s name. They will remember the idea but not what you are trying to advertise. There are no guarantees as to what content goes viral and what does not. However, virality is not a random occurrence and this framework is a good guide for content producers to make sure that their ideas are as shareable as possible. Social epidemics follow certain patterns and these six steps cover critical aspects of them. Some ideas may already have some of these steps embedded into them and some may be more difficult to incorporate them. But what we see from Jonah Berger’s research is that the most successful ideas that achieved viral status have all six components entrenched into them. In a landscape where content marketing is becoming increasingly important and competitive, this framework sets a clear and tangible goal for marketers when designing content.